There are always certain stereotypical visuals that cross one’s mind upon the mention of a country’s name. Mention France and you see a guy (of course with a French beard), holding a baguette, staring blankly at the Eiffel Tower as he adjusts the tip of his beret! Similarly for India, it is IT solutions, Bollywood, the ‘spicy’ Indian cuisine, and Taj Mahal that are the most common exports. And do we associate wines with India? Not quite. 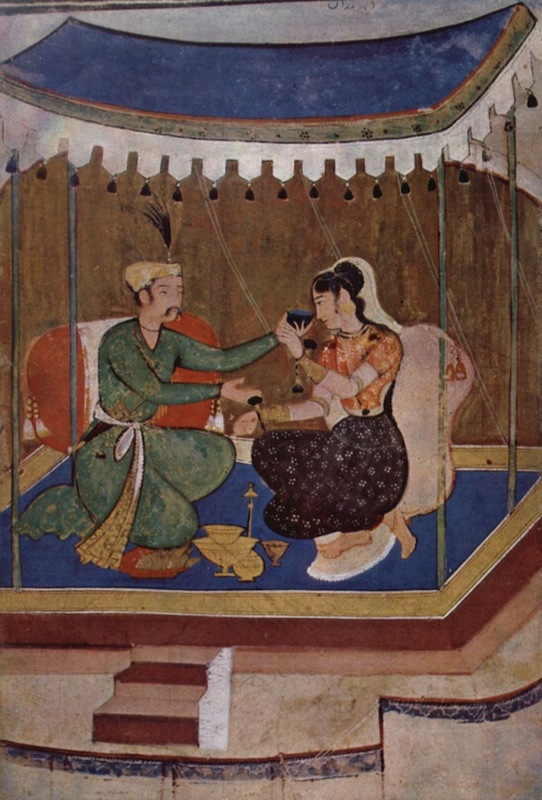 While India has been producing wines for many centuries, it had never really established itself as a wine country whether it concerned consumption or production. The British colonial rule saw successful experiments with vine plantings carried out but the effort was never really a success for reasons unknown (besides a few sources blaming it on the worldwide spread of phylloxera but this theory has never been convincingly proven). On the other hand, tea plantations of that era have thrived well and Indian tea still stands as a quality standard bearer worldwide. Whiskey and beer have dominated the alcoholic beverage scene in India for a long time. It is no surprise that even with extremely high duties, India is still among the top five export markets for Scotch whisky by volume (Scotch Whisky Association News Release). So where does wine stand in all of this? If numbers are anything to go by, the business of wine in India seems to be headed in the right direction. According to the Ministry of Food Processing Industries, the annual grape production in India is estimated to be 1.6 million metric tons of which 1.2% is processed into wine. A majority of these wine grapes are grown in the town of Nashik, situated about 180 kilometers (about 110 miles) northeast of Mumbai, the capital of the state of Maharashtra. The first of the French varieties, chenin blanc (Californian) and sauvignon blanc, were planted here in 1997 by Sula’s Rajeev Samant. 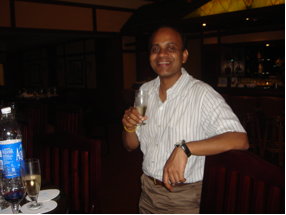 Samant returned from the Silicon Valley to become a wine entrepreneur in early 1990s. A decade hence, things look very different in the state of Maharashtra. While the number of wineries has grown to more than 50, 35 of these are in Nashik. The state of Karnataka, known worldwide as an IT hub for its capital city of Bangalore, also contributes to wine production with Grover Vineyards as the most prominent producer. The total wine market in India stands at around 1.8 million cases. Of this, imported wines have a share of about 15-20%. Talking about imports, foreign wines are subjected to some of the highest tariffs and taxes anywhere in the world, making even the most basic foreign wines unaffordable to many. When a case of wine arrives at an Indian port, a flat 150% basic customs duty is charged on its CIF (cost, insurance, and freight) price. So this case of wine has already become more than twice its original price upon hitting Indian shores. It is from this step onwards that things begin to get more complicated and in turn even more expensive. As in certain states of the US, each state (like a federal state) in India has its own excise policies, a power given to them by the Constitution. The state may charge additional fee for label registration, vend fee, bond fee, education cess (a tax levied to benefit Indian education), VAT and probably a few more cost elements with lots of paperwork in the process. So it is not surprising that tourists visiting the country are bewildered by the exaggerated prices for wines which would have otherwise cost them four to five times less in their own country. While one might think of it as a protectionist measure aimed at promoting the domestic wine industry, it also would not be wrong to attribute such a treatment to the sensitive topic of alcohol which has long been a taboo in the Indian society. Under this system, wine as a category is treated the same as hard liquor. Even with the above deterrents at play, growth of wine consumption has not stopped. The market for wines in India is growing at 25-30% annually and it is likely to remain so, though Indian wines are likely to dominate this figure. The states of Delhi NCR and Maharashtra contribute to more than 60% of the wine consumed in the country. Indian wines are doing well both on and off-premise while a majority of foreign wines are being consumed in hotels and restaurants. Although not as lucrative as its Asian counterparts like Hong Kong, China, Singapore, and Japan the Indian market has still managed some decent international interest. While E&J Gallo have a nine-year joint venture with Indian producer and distributor Radico Khaitan, the global giant Pernod Ricard also enjoys a strong presence in the country, though more as a spirits company. In wines, Pernod Ricard currently offers the famous Jacob’s Creek, Montana and Nine Hills, an Indian wine. What is an eagerly awaited launch for next year would be the indigenous sparkling wine by Moet et Chandon, for which the company is sourcing grapes from Nashik. Moet Hennessy India presently operates as a subsidiary of the LVMH Moet Hennessy group and is privately held. Another Indo-European venture called Prestige wines and spirits, aimed at importing premium wines and spirits in India, was formed between a renowned Indian industrialist Gautam Thapar and Miguel Torres of Torres’ wines and John L.S Grant of Glenfaclas. Nirvana Biosys, a Delhi based company, recently joined hands with the Mauritius based EC Oxenham group which is helping provide their technical expertise in winemaking for the ‘Luca’ line of wines. The venture’s unique selling proposition is wines based on exotic fruits like litchi and mango besides the standbys such as Cabernet Sauvignon and Sauvignon Blanc. In addition to foreign ventures and investments, renowned winemakers like Michele Rolland have also been involved for their expertise in the area and helping Indian wines improve on the quality front. Regarding quality, most Indian wines produced so far have been of the table wine quality and have been meant to be drunk young. 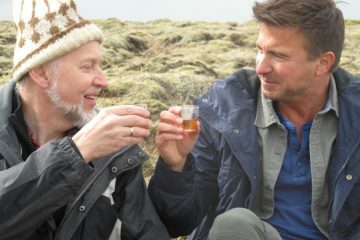 Of late, there have been some experiments of testing the aging potential. The recent success of a Sula Sauvignon Blanc at the Decanter Wine Awards and two Indian wines being sold at Waitrose in the UK shows the potential of Indian wines in standing up to the competition even if it might take some time. So how does the future look for wines in the world’s biggest democracy? If growth remains positive and the above figures get better, this could be a more exciting market than some of the neighbouring Asian countries. The sheer size of the population remaining to be tapped, and the rising middle class with higher aspirational needs and better incomes than ever will factor heavily on the strength of this rising market. Comfort with the English language is an area by which Indians enjoy wider access to information and this could significantly favor international wine companies for whom the cost of spreading their message would be much lower than in countries where language is a potential barrier. The availability of low cost, locally produced wines is also exposing a wider population to wine. The same population could upgrade to spending even more on wines in the future and also develop a discerning taste. What also needs to be done (and has been talked about for a long time now) is the drastic change in the tariff structure and wine being segregated as a lower-alcohol beverage. In parallel, the storage conditions both in bonds and retail, need to improve manifold and the entire supply chain needs an overhaul. This is especially crucial in getting a product like wine to ensure its quality. Efforts to educate consumers through interactive sessions, wine clubs and dinners have become popular but the reach of such initiatives needs to be widened further. Another interesting development that has caught on well is the consumer-driven wine festivals and it is this trend that enthuses Vikram Achanta, CEO of Tulleeho, a beverage education and training services provider in India. Established in 2000, the company helps address the needs of the hospitality industry, the end consumer and the hospitality student. “I’m really glad to see few thousand people attending such shows, and the numbers growing every year,” says Achanta. The optimist in me says that India holds the potential for getting recognized as an attractive wine destination as it focuses on quality wine production and consumption gets better but it really is a matter of time. Having worked in the Indian beverages industry for a marketing and consulting firm, Prateek is currently based in Burgundy, France. Marketing and communications are his strengths, fascinated by brands and their evolution. During his time in France, he has made trips to Champagne and Languedoc besides travelling extensively within the Cote d’Or and talking to winemakers to further enhance his experience. 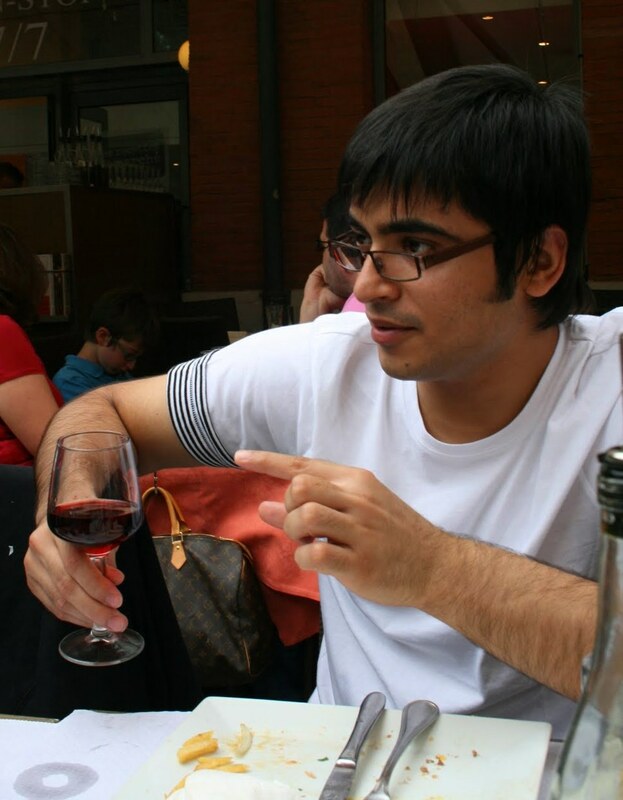 Prateek also covered wine regions in Austria and Chianti Classico in Italy last year. He recently concluded a comprehensive research on wine market in India with ESC-Bourgogne. 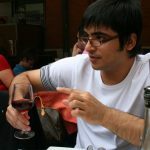 Prateek also holds the WSET Advanced Certificate in Wines and writes on different topics related to wine on his blog. The article states that the author is currently in Burgundy. He “has made trips to Champagne and Languedoc besides travelling extensively within the Cote d’Or”. So how come grapes for wine (rather than edible grapes) in the vast multi-climate India are produced in southern India rather than somewhere more wine grape friendly in northern India. Most quality vineyards in the world have a smattering of snow in winter. If not they tend to be excellent sources of fortified wines – such as Jerez and Montilla. Or the wines have to be acidified. There are many snow-covered hills in the Indian winter. Thanks for your comment Warren. Regarding northern regions of India to be more ‘wine friendly’, the point hasn’t yet been proved as the wines have been dodgy in the past. A northerly state such as Himachal Pradesh has been producing wines for a while but most of these have been based on fruits other than grapes like apple, peach, plums etc. These wines might have been prominent as an offering in the category of ‘wine’ per se but their contribution has been rather less significant in the greater scheme of things. As to why these northerly regions have not yet lived up to their potential or haven’t made fortified wines like in Jerez and Montilla, I think that short ripening periods is one of the main problems and as you would know, this isn’t enough for good wine grapes which otherwise evolve through a proper cycle. On the other hand, places like Nashik Valley in Maharashtra and some more upcoming sub-regions around it have shown to provide a comparatively better environment for a more consistent offering if not the best wines in the world. In addition to the suitable weather conditions (at least by Indian standards and I no way intend to mean the conditions that we find here in France or in great wine regions elsewhere), a lot of research and investment along with the support from the government is going on in order to best counter the shortcomings that the tropical climatic conditions pose. True not a country I associate with Wine but great informative article! the southern states, (maharashtra, in particular) have been more supportive of their grape-growers and wineries as they saw the development opportunity, and the states have a strong infrastructure which facilitates industry. the hill-covered states of india do not have as strong infrastructure and facilities. himachal has fruit wine, true. manipur in the northeast is also in the wine-league. kashmir, in the north, is faced with a cultural taboo. farmers do not wish to grow grapes for wine as wine is taboo in islam. uttarakhand, may be… anyone exploring? This is very interesting. I hope you can create your own brand of wine in the future. I hope to taste Indian wine soon. Thanks a lot for your kind words,means a lot. Regarding my own brand,I hope your wines provide further inspiration as and when I get an opportunity to try them all! P.S: Yours is one of the most interactive winery websites I’ve come across in the recent past.Congratulations for that! I do agree with you that Mount Abu is the best potential for wine growing in India, given my knowledge on the Geography of India. Of course, another favourable regions will be the drier part of Western Himalayas. But even the northwest region (such as Punjab, Haryana, western Uttar Pradesh, and northern Rajasthan) has high potential if India is able to introduce Muscadine grapes (from SE United States) and hybrid with traditional vitis rootstock for vinery. Muscadine grapes thrive in areas with high summer temperatures and high summer humidty of the Southeast part of United States. Food for thought.